Beauty Factory is rated 2.7 out of 5 by 6. Rated 4 out of 5 by Pearly11 from And Oldie but a good business simulation This is an older business simulation, in which the emphasis is on the developing a thriving business, with very little to start with. There is little to no story line, which doesn't really matter to me. The story is to beat your opponents and get a big slice of this market. You do that by tweaking your products due to what the market demands, investing into your production line, office, products and marketing. I enjoy these type of games. It's just business without any story and I wish they'd make more business simulations with the possibilities that are around today. I recommend the game to those who enjoy business, but advise to do the trial first. Rated 4 out of 5 by buzzybutton from Beauty Factory game The visual effects were ok, but the storyline didn't seem to have enough...... PIZAZZ! The game was a fun thing to do, but I would play it a few times a year and then never touch it again. It was a good challlenging game, but it could do with a bit more excitment. Overall, I think I might play it again. 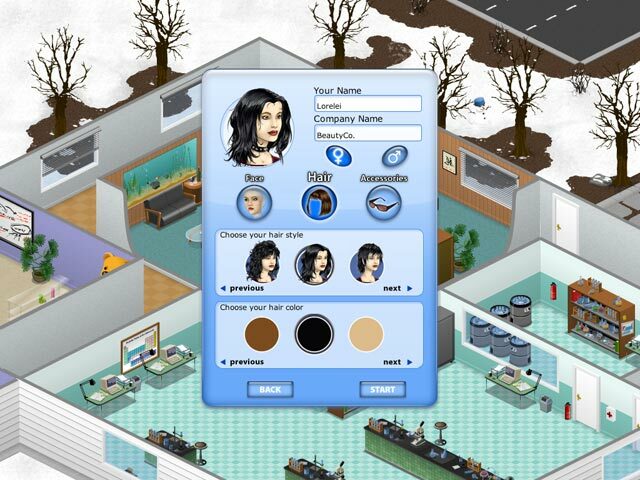 Rated 4 out of 5 by pses from Simulated Beauty Business Game This is a simulated business game, focused on beauty industry. You create different products, tweak formulas, arrange production, and watch for business trends, competitor info, and industry news to strategize. 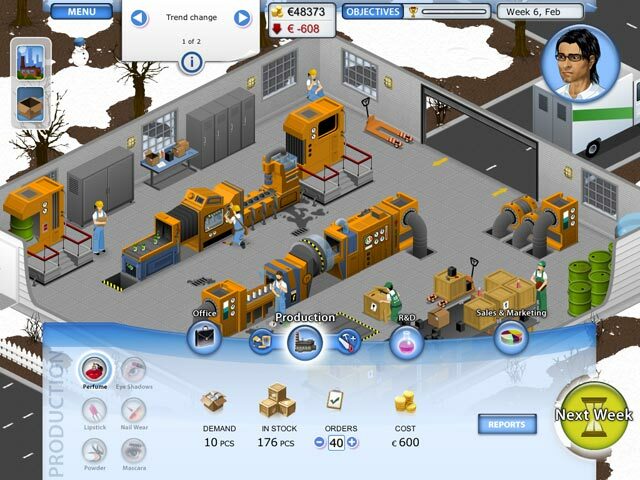 For those that enjoy business sim games and beauty products, this is a fun game to experience being a cog in the industry. Rated 2 out of 5 by EmmyS_93 from Eh. Not my favorite. Personally I just couldn't get into the swing. I played it for a few hours after purchase but then when I tried to open i up again I lost interest quickly. Rated 1 out of 5 by Knuxieh from Not Much Past The Surface... Maybe I might be jumping the gun here with my review but..I love tycoon-ish games as much as the next person! But, this was a little odd to get into. Firstly you don't have as much space to enter your own name even though it has enough room for the word Anonymous - and then your business name even though the example is "Beauty Co." You don't even have enough space to really work with a good enough name! Only six characters I think. But past that annoyance, I find the other aspects of the game rather mediocre. I get the whole "test a product, sell the product" thing, I just wish the game did more as far as actually getting a bit more in depth with the process or something. I was left feeling a little shorted actually. I feel like I wasted a game credit on this game, but I would rather have wasted that than actually paying out of pocket for this game.. I say that I wouldn't recommend this game, only because it didn't hold my interest. I feel that other tycoon-related games have a bit more story or draw to them than this one did. However if you can get past the lack of story - go for it. Rated 1 out of 5 by Sniffsmatte from A waiting game I diden't have the strength to play it more then a few minutes. I hate to wait out to have enough money to do anything. I love buying in games, not to wait to be able to buy, that's just how real life works. Games should be fun not like real life.